I mean. I can't really talk bad about the rock since it's free. The rock is tried and true, is every Newman's best friend and is now able to gather stones quite well. That being said, go find some wood and stones and make a stone hatchet pronto. The hammer is a tool used to upgrade or repair building parts that have been placed. You will need to craft one if you want a house that will help defend against those pesky raiders. Make sure you have a couple of these laying around, they come in handy when someone is trying to break in. Avoid unless you want a melee weapon that makes a cool sound. 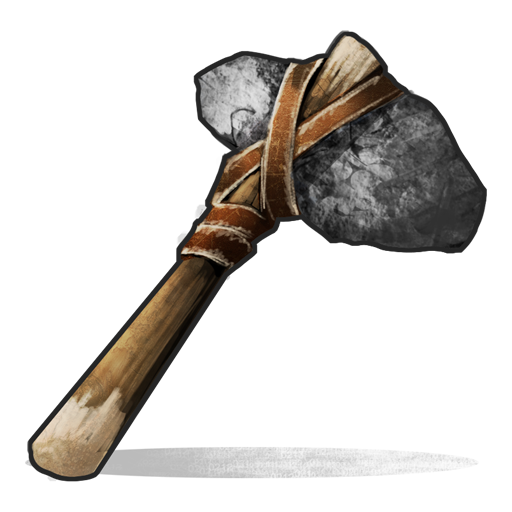 The stone hatchet is a cheap starter tool, harvests wood much faster than the rock. Not feasible to raid stone with. Finally! We can upgrade from smashing our rock on nodes to the little beauty. 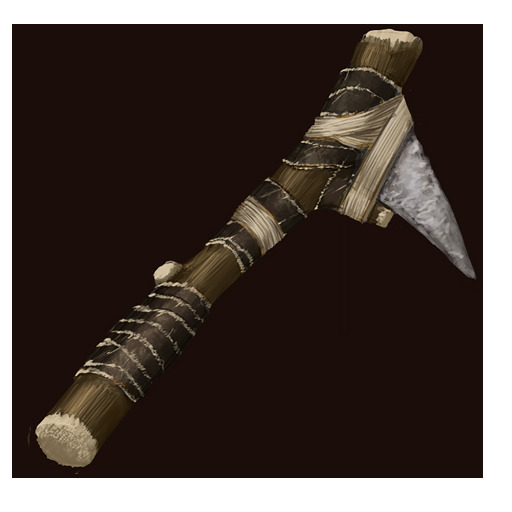 It is a little more costly than the stone hatchet however it's well worth it's weight in... stones. Cheap and effective for gathering wood early on. 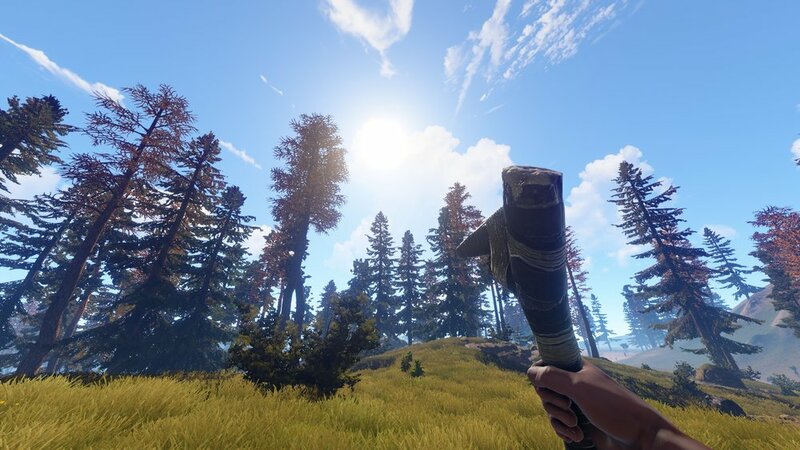 Although the stone hatchet is much more readily available the metal hatchet lets you use your stone for upgrading your house instead of another damned stone hatchet. Young, nimble, he gathers great and packs a wallop. If you're rich, this is your new best friend. Mind the idle animation, the sound can be a bit unbearable. Even so, I highly recommend you leave this guy tucked away in your knickers. He's handy on all sorts of occasions. Doesn't gather wood very well. 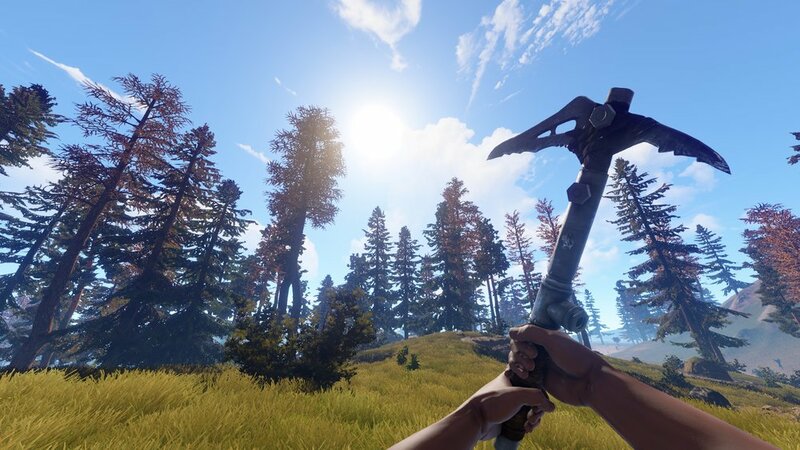 The pickaxe has been specialized like the other tools in the game to specifically mining. This is one of the best tools for breaking stone buildings bested only by the salvaged icepick. Extremely durable and gathers much at a much faster rate than a metal pickaxe. The torch is good for one thing: seeing in the dark. Unfortunately, it allows others to see you in the dark from great distances. 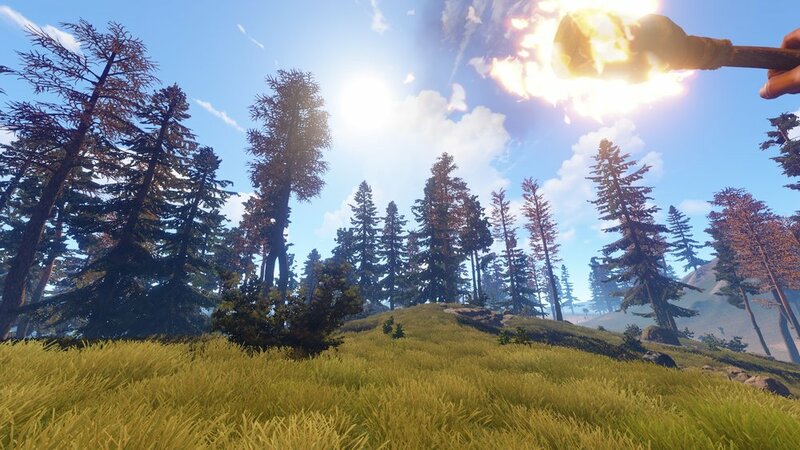 Unless you are trying to find a friend by standing on top of a mountain in the middle of the night (and even then) I would not recommend using a torch outside your base. This is unfortunate because I love the model and the fire animations are really well done. It doesn't change the fact: it’s a magnet for bad news.